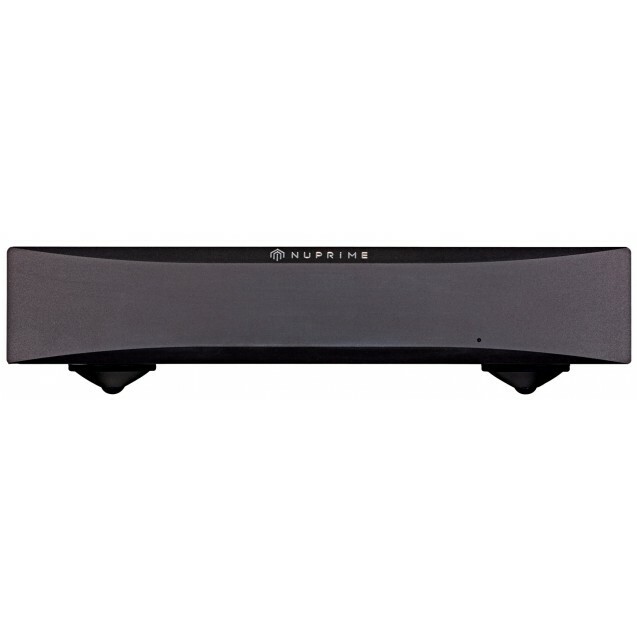 STA-9 is a 2 X 120W Class A+D Stereo Amplifer, bridgeable into a 290W Mono Amplifier, is designed with enhanced even-order harmonic circuitry that mimics the most attractive features of tubed-amp sound without tubes’ drawbacks and limitations. The NuPrime amp circuit improves on traditional Class-D design by using a self-oscillating circuit to generate pulse-width modulation. 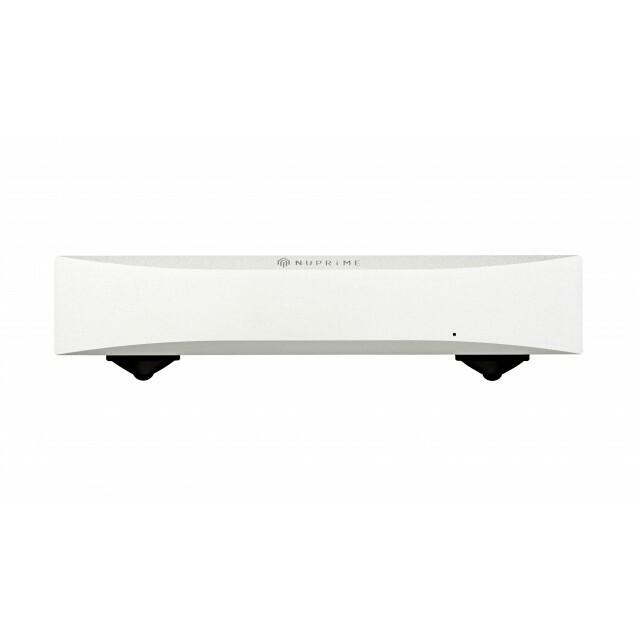 The amplifier switches at a frequency of 550kHz, well beyond the compact disc’s 44.1kHz sampling rate. 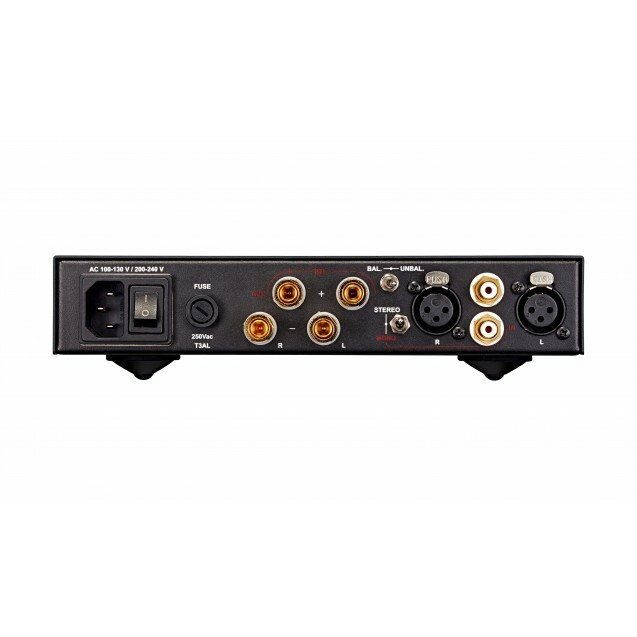 Most class-D amps switch at 300kHz or lower. 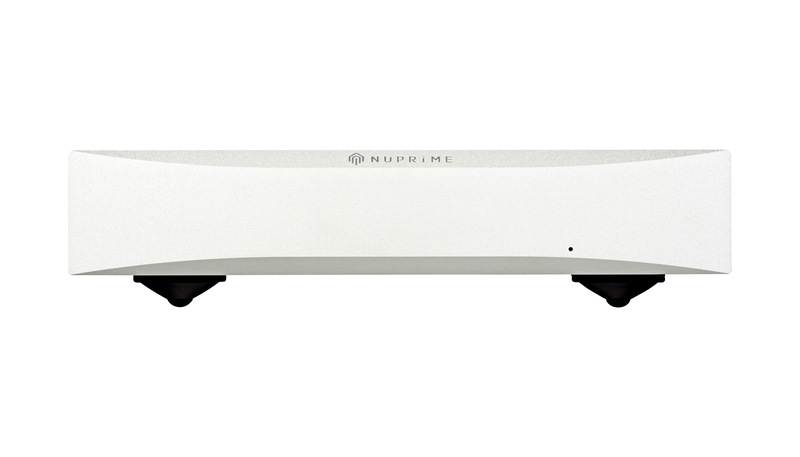 Completing the ensemble is NuPrime's new linear power supply with its high-efficiency toroidal transformer for reduced high-frequency noise and strengthened low-frequency performance. The damping effect of the NuPrime isolation feet (patent pending) absorbs and cancels vibrations that degrade audio performance. The overall result is unprecedented transient speed and an almost shocking level of dynamic impact. The STA-9's frequency response to 50 kHz elevates vocals into emotional experiences; similarly, instrumental upper registers mimic a live performance’s shimmering heights. The front-end circuit of the STA-9 employs the same structure as that of the HPA-9: a single-end JFET structure that mainly simulates the sound characteristics of a triode by the addition of 2nd harmonics. The 2nd harmonic of a vacuum tube and STA-9 are high, resulting in an SNR measured value > 90DB. This does not mean that the STA-9 produces audible noise; rather, it is the effect of 2nd harmonic's appealing coloration. The bandwidth of the front-end circuits of the STA-9 and HPA-9 are up to 300KHZ, which produce a more natural sound. With very low negative feedback, the sound is smooth and relaxed rather than harsh. The standard method for bridging a stereo amp into mono employs a series of op amps (OPA) in order to invert the input signals to one of the stereo amp, thereby creating an opposite phase, which can then be combined to increase power. Conversely, the STA-9's innovative bridging circuit utilises a design we call Single-Ended Direct-Inject Bridge Technology, in which the mono mode, in addition to acquiring more than double the power, sounds livelier and more dynamic.